Are you ready to take the step forward towards a healthy life and get your fitness mantra on? From turning your Android into the ultimate fitness tracker to finding the best fitness apps and workout apps, Updato has you covered. You probably started the year hoping to finally be true to yourself and embrace a healthier lifestyle. No matter how determined you are to have that amazing beach body for summer, or shed the extra pounds that have been dragging you down, tracking your fitness is as crucial as working out and eating healthy. Despite the positivity and determination that most us start off with, it soon starts to run off when you either stop seeing physical changes or just give in to the cravings. Since fitness and healthy living has become a part of an everyday lifestyle for many, there has been a volcanic rise of several workout apps. 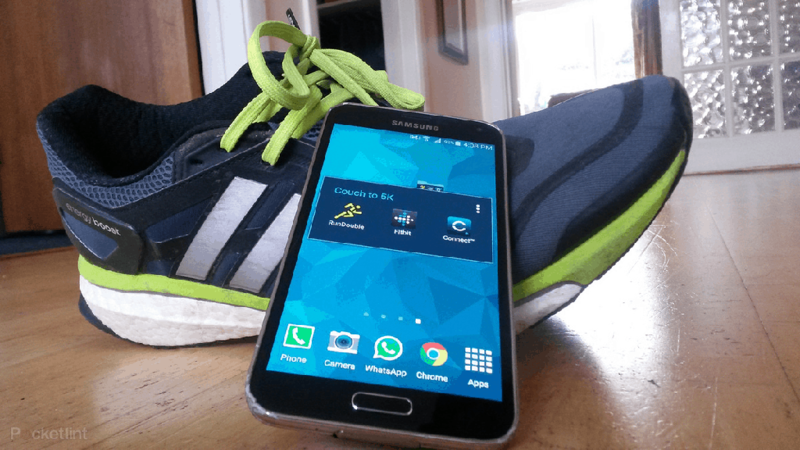 Why do I need the best fitness apps and trackers? The concept of fitness trackers has been around for decades, with every major sports brand creating activity-specific tech for professional athletes. While the best part is that the fitness tech which too expensive for the mainstream consumer, is now being brought to the market in the form of some of the best fitness apps trackers, fitness bands, and smartwatches. Exercise: From counting the steps you have walked each day, to a number of calories you have burnt at the gym, tracking your calorie expense is what a fitness tracker does best. Whether you’re a runner trying to calculate your distance or just a regular fitness enthusiast who wants to know the results of your daily workout, a fitness tracker is the piece of technology you need. Sleep: One major factor in maintaining overall health is a good night’s sleep that is overlooked most of the time. While not all wearable fitness trackers can help you keep a check on how many hours and the quality of sleep you get every night, some of the best fitness apps for Android will keep you satisfied in this aspect of health as well. 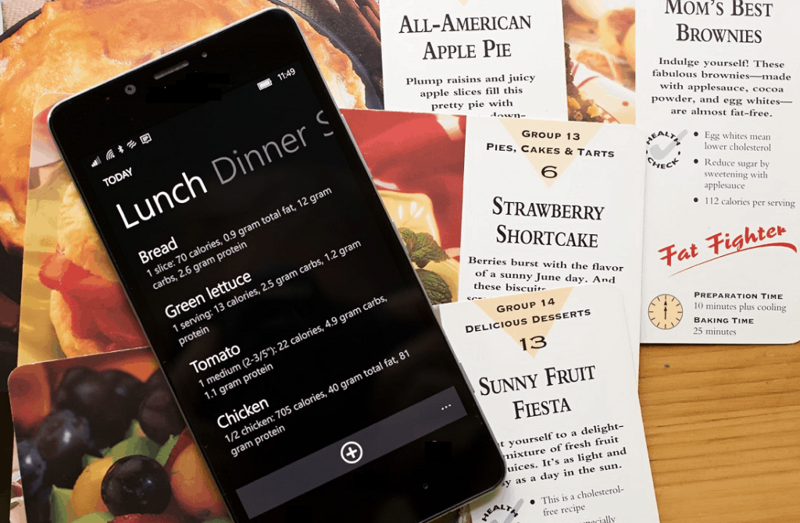 Food tracking: Other than keeping a track of your vitals and internal calorie meter, an ideal fitness tracking system also keeps a check on your nutrition intake. From keeping a tab on your daily food intake and calories consumed, to making sure that you are consuming enough fluids every couple of hours, your fitness tracker can be the watchful eye. Why get a fitness tracker when there’s Android? Many couch potatoes love the excuse that “fitness is too expensive these days” with the fancy gym memberships and fitness trackers. While making your wallet lighter by a couple hundred dollars can surely get you a fitness tracker that helps you gauge your vitals, help you stay true to your diet, and shape up your workouts, why not put the tech that you already own to good use? Since most of us are looking for nothing more than a basic fitness tracker that helps us get the upper edge in our daily workout routine, you need nothing more than your Android. Most of the modern Android devices come with all the technology that smartwatches and fitness trackers are embedded with. Moreover, the additional benefit of the Google Play Store makes your Android device open to dozens of the best fitness apps and workout apps. Whether you are looking for a way to keep your vitals in check and manage your calorie intake, or need a virtual trainer to help you perform the target exercises for muscle growth, here is a list of the best fitness apps that you will ever need. Every fitness expert around you will agree to the fact that your fitness quotient depends 70% on a healthy diet and 30% on your workout routine. Apart from calculating your calorie intake every day, MyFitnessPal is truly a diet buddy that helps you create your very own diet diary and measure your calorie intake, calorie expenditure, and even help you meet your weight goals by settings a daily calorie limit for you. Rather than moving up and down the scale to see if you are making progress every week, MyFitnessPal enables you to break down your daily meals into the nutrition they offer, and even suggest changes to help suit your fitness goals. From finding how much calories a cup of cheese popcorn has, to the amount of protein your body gets from a salmon fillet, MyFitnessPal can do it all. One benefit that most of the wearable fitness trackers and even some of the Samsung Galaxy devices have, is the ability to track your heart rate with the heart rate sensor. It seems almost unbelievable, but this same ability can be brought to any Android device which has a camera and flash, thanks to Instant Heart Rate. While you may feel skeptical at how a regular Android device would function as a heart rate monitor, the app has been tried and tested by several professionals, fitness coaches, and millions of users. By measuring your pulse rate, the app allows you to find your resting heart rate and helps you track your cardiovascular fitness during an intense workout. 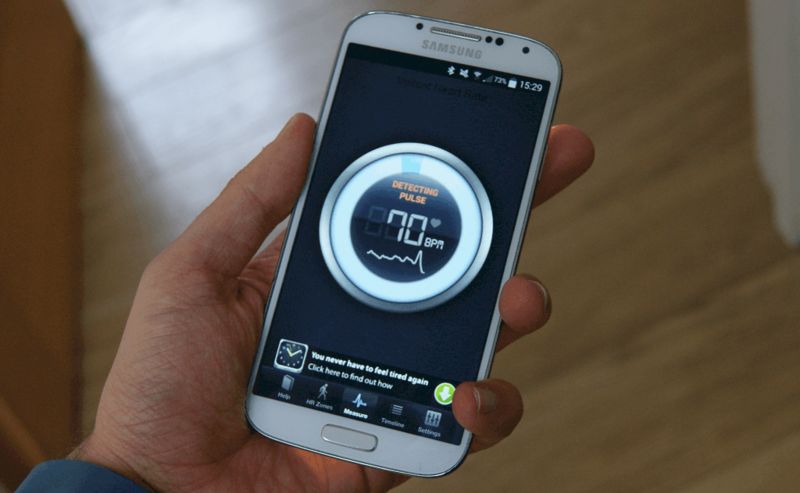 Instant Heart Rate is especially useful for those who suffer from heart diseases and conditions such as diabetes. For somebody who spends their free time watching TV and surfing the internet, the idea of being able to compete in a marathon would seem just absurd. The fitness lifestyle of runners is not an easy one to acquire, but RunDouble plans to get you there with their Couch to 5K app. Built to help beginners ease in, the app helps you with warm-ups and running/walking intervals depending on your level of fitness. 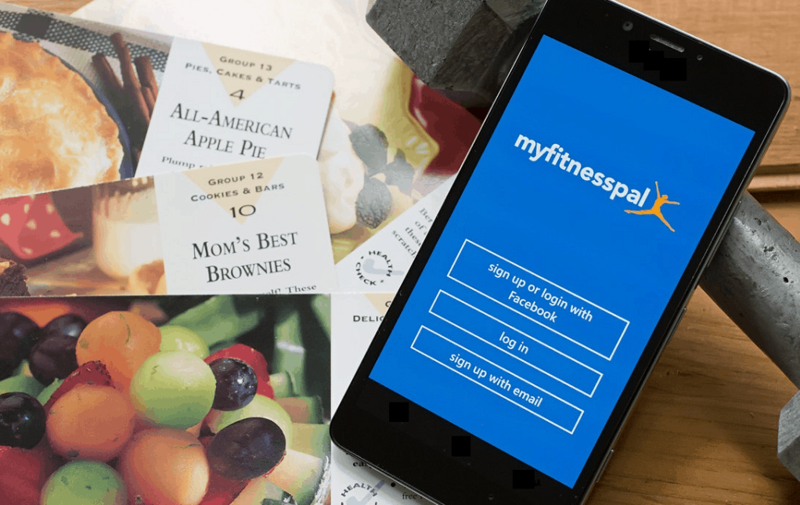 Taking the fitness regime one step further, this fitness app offers integration with MyFitnessPal, so you can keep a check on your calorie intake while improving your physical health. Without membership fees and mandatory wearable fitness tracker required, Couch to 5K helps you improve your health at the pace you set from the beginning. The reason some of us prefer the local gym instead of the one in the garage is for the social aspect, which is scientifically proven to help you reach your fitness goals faster. 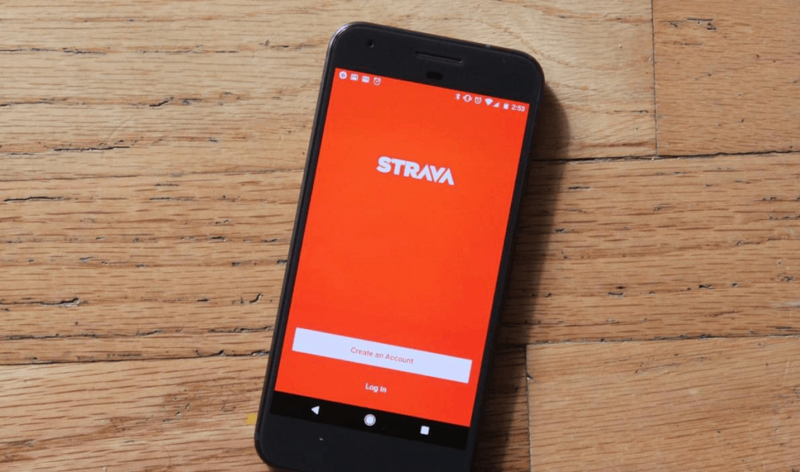 Bringing the social element of fitness to Android, Strava Running and Cycling GPS app offers a clean user interface with the ability to track your activity, create personal challenges, and segment your workouts to find out which is helping you burn most calories. However, the fun begins with the ability to connect to friends and other fitness enthusiasts who use Strava. With the ability to follow friends, trainers and professionals, add activity photos of your daily jog or cycling route, competing with other members and making it to leaderboard makes the ordeal of being healthy a whole lot fun. There’s a reason having a personal trainer costs more than your annual gym membership fee, since having someone to guide you through what’s the best workout for you and pushing you to the absolute limit is what makes the results far more apparent. JEFIT Workout Exercise Trainer hopes to be the modern virtual personal trainer, comprised of more than 1300 different exercises along with animations to help you visualize and follow the exercises accurately. While the Google Play Store is packed with dozens of running and general fitness tracking apps, JEFIT is among the few that helps you target your muscles with weight training, which is essential in stimulating your metabolism and helps in burning fat. With a formulated plan of action and a community of millions of users to help you stay motivated, JEFIT Workout Exercise Trainer is a one stop solution towards reaching your fitness goals. While some of us do appreciate the social features with bells and whistles that make the good old fitness apps more interesting, keeping it simple never goes out of style. 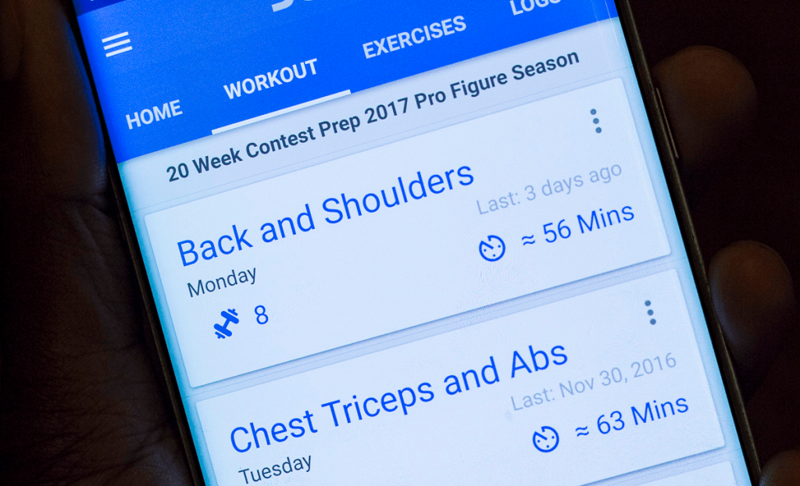 This is exactly what the StrongLifts 5×5 Workout app offers with its no-nonsense user interface to help you record weights, sets and reps to help you create an effective and accurate weight training program that is tailored to you. Following a simplified workout plan of three exercises, three times a week for 45 minutes, StrongLifts 5×5 Workout helps you in boosting your metabolism and burning fat. With features to automatically alternate workouts each week, auto-add weights following an exercise, and helping you map your progress with defined graphs and weekly/monthly overviews, you’re always motivated to go one step further. Finding all of the best fitness apps that offers long-term fitness plans and demand commitment can be intimidating, especially to those who cannot spare an hour or two every day for the gym. If you don’t have the time for a personal trainer at the gym, bring the personal trainer into your home with the Sworkit Personalized Workouts app. Bringing a fresh outlook to 5-minute workouts, this app enables you to follow the fitness regime that suits your personal lifestyle and physique. Apart from creating a personalized exercise program that suits your requirements, Sworkit Personalized Workouts help you select the type of workout you want to do, the core region of your body that you want to target, and the amount of time you want to exercise for. Rather than pushing you to chance your daily routine and make time to work out, this app will accommodate your lifestyle and squeeze in the fitness regime of your own creation. While you may think that the only way to enjoy a fitness lifestyle is to get an expensive gym membership or shell out thousands on home gym equipment, 7 Minute Workout changes it all. 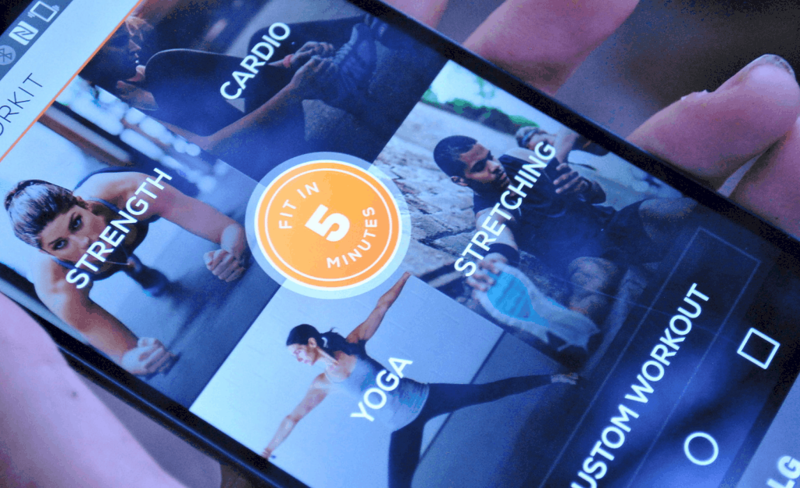 By helping you utilize the items you can find around the household to create a fitness plan, 7 Minute Workout has been scientifically proven to assist in weight loss and rated the best fitness app for 2016. Integrated with Google Fit to help you track your vitals and calorie expenditure accurately, this app comes with an adjustable circuit and rest time, a detailed workout log to help you overview your current goals and progress throughout the course. With exclusive challenges and personalized high-intensity circuit training to help you efficiently improve muscle health, cramming in 7 minutes of workout every day is all you need to stay on the top of your game. If the runners high is not enough to keep you pushing forward for miles on the road every day, how about the advent of a zombie apocalypse? Tie up those shoelaces, connect your headphones and start running, and you will soon begin to hear growling brain-hungry zombies coming for you! With a beautifully narrated storyline that puts you at the center is the ultimate hero, you have to outrun the zombies in real life! While enjoying your very own soundtrack that you can use with the app, take your chance and run through the post-apocalyptic world of Zombies, Run! The immersive experience goes one step further with the ability to collect supplies and bring it back to your base. 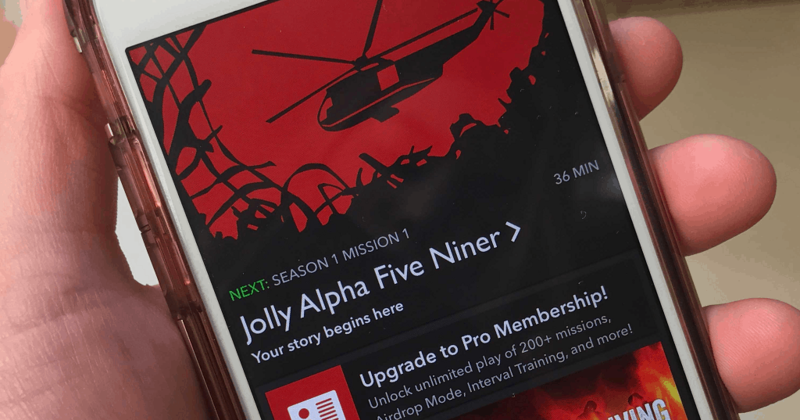 With features like the pro version of the fitness game, ability to activate zombie chases and a whole community to play along with, running has never been so much fun. Admittedly, the list of the best fitness apps available for Android is not a short one, but most of them are being migrated to Android Wear to promote smartwatches. 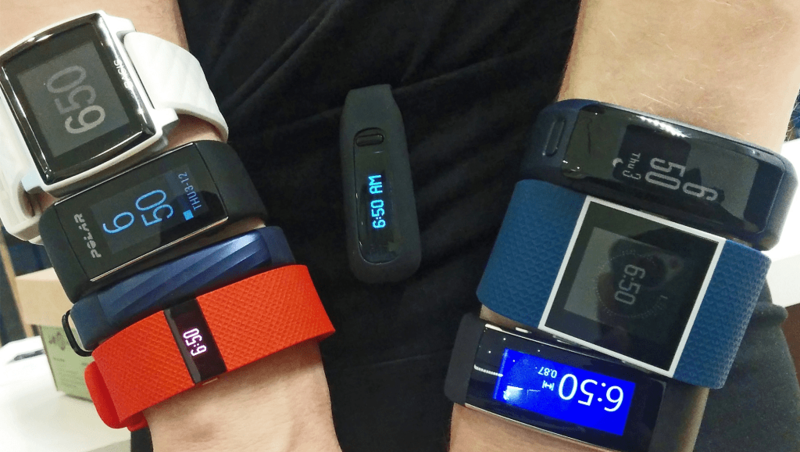 If you are not willing to spend a few hundred dollars on a fitness tracker and go through the ordeal of charging it every other day, your pocket-friendly Android is the only fitness tracker you will ever need. 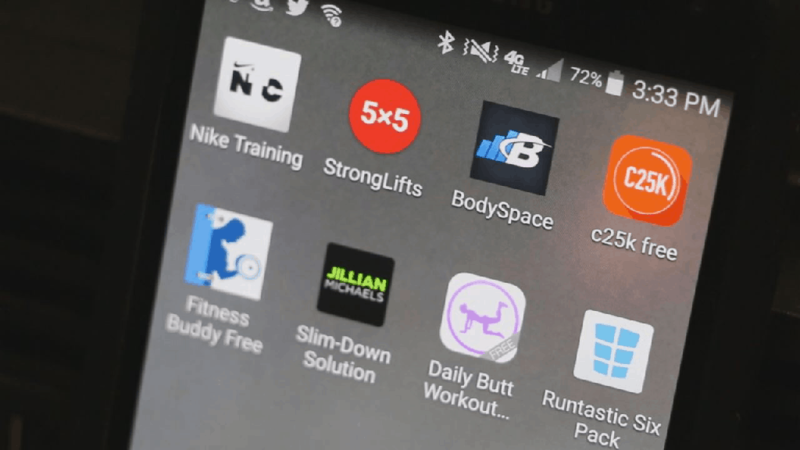 Did we miss out on any other excellent fitness and workout apps for Android that deserves to be on the list? Do share your thoughts on the best fitness apps out there and share your experience with workout apps on the Updato Forum.